Purism as a design principle: With that, range 260 meets the criteria of classic HEWI design. A clear style marked by ergonomic objectivity defines Range 260. The flat, elliptical shape of the lever handle affords a high level of gripping comfort. 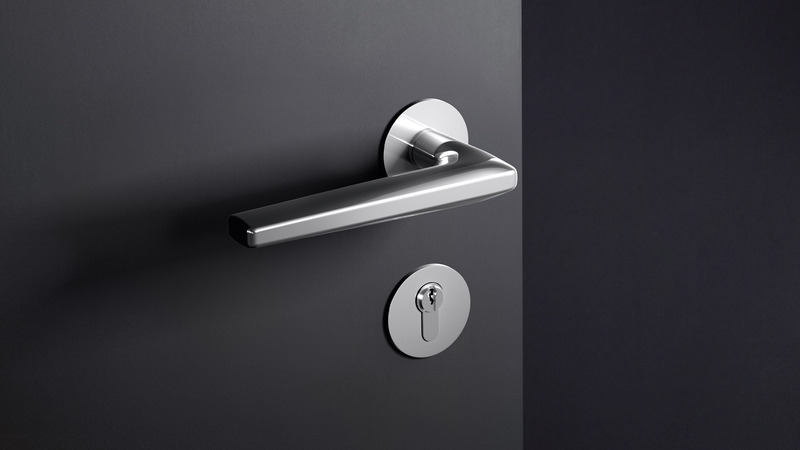 The hardware range includes door lever fittings and window handle. The hardware is made of high-quality stainless steel. The Range 260 hardware fulfils the Grade 4 requirements to EN 1906 and is therefore suitable for use in projects. The surface is available with an optional satin or mirror polished finish. Range 260 also conforms to the criteria of DIN 18273. Range 260 is made of high-quality stainless steel and is optionally available with a satin finish or mirror polished surface. The door lever fittings can be combined with round or flat roses.